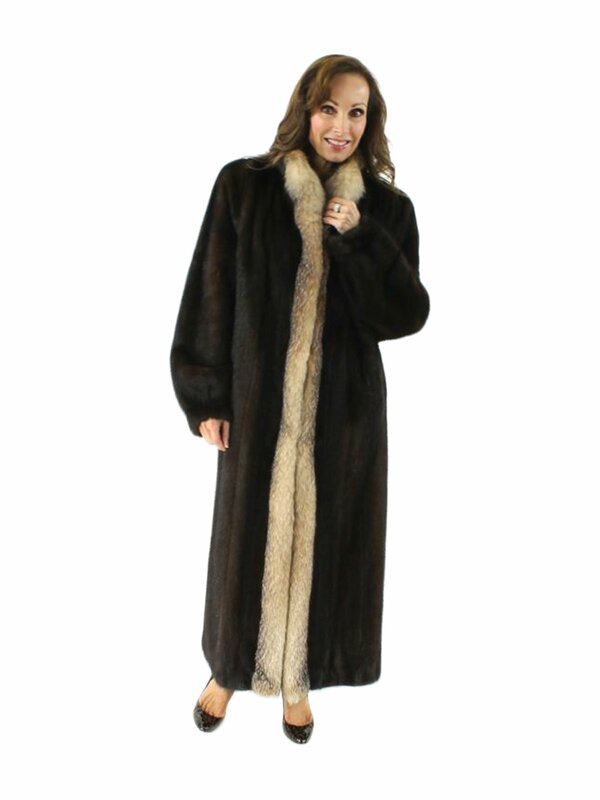 Mahogany Mink Coat with Crystal Fox Tuxedo Front. Both Fur and Lining in Excellent Condition. Velvet lined pockets, comfortable style.